I’m not an expert blogger by any means, but I have been blogging regularly for almost 5 years now and have learned a few things along the way. What blogging tools do I use all the time? I’m sharing my faves with you right here. Blogging may seem simple on the surface — you write a post, take some pics, and hit publish — but so much more goes into maintaining an active blog. Between social media, graphics, your mailing list, the whole tech side of things and more, blogging can get pretty complicated. To help streamline the whole process, here are my must-have blogging tools I can’t live without. And if you’re looking to start a blog, read this. Do typos and grammar issues make you cringe? Nothing irks me more about a blog than someone who fails to proofread (ok wait, except for annoying music on the home page that you can’t turn off! Or an About Page that doesn’t have your name or photo. Or a site that has no way to contact you! Stopping now…). Even if the content is great, if there are errors all over the place, your credibility takes a major dive. No one is perfect, but I think that proofreading your work before hitting publish goes a long way. I won’t say you’ll never find a typo on my blog because I’m only human and we all miss stuff, but I do make an effort to proofread my work before hitting publish. I use the free app Grammarly and recommend it to anyone who doesn’t want to look like they’re illiterate online! Even if grammar isn’t your strong suit, take the time to learn the difference between awhile/a while and workout/workout and dogs/dog’s. Then turn Grammarly on. The browser add-on is FREE and you can get it here. Eye-catching graphics make a blog way better to look at, not to mention more professional. It’s also a good idea to use relevant imagery to break up text so your eyes don’t glaze over from Giant Text Block Syndrome. From about 2014 on, any graphics you see with text on my blog (including all my Pinterest images) were created with Canva. A personal account is free and you can do everything from blog and social media graphics to business cards and any other graphic design project your heart desires — no tech knowledge needed. In addition to a bunch of perfectly-sized layouts and an extensive font selection, there are tons of free images to choose from in case you’re not a photographer. Social media scheduling is a lifesaver especially when you have readers in all different time zones or aren’t in front of your computer all the time (you sleep, right?). Use a tool like Hootsuite to schedule posts across your social media accounts at times you select or let them choose for the best engagement. I use the free version of Hootsuite (mostly for Twitter) and have never had any issues. 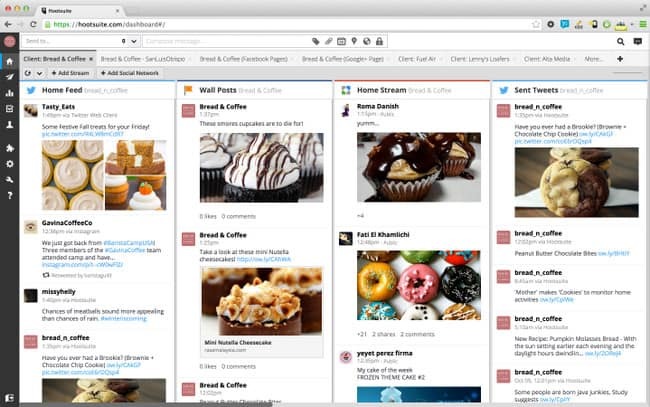 Pinterest can be a game-changing blogging tool, but it can also be tedious. To help automate you pinning, sign up for Boardbooster and simplify the process of getting your pins out there for the world to see. You get several hundred pins for free when you sign up and I guarantee you’ll be sold after seeing how this powerful tool works. Quality hosting for your blog is incredibly important. Most of the time, you won’t ever have to contact your host. It’s just there in the background. Many people opt for the cheapest option or the hosting provider that everyone else has, but when something breaks or you’re hacked like I was, you’ll want a responsive, helpful hosting company. That’s why my sites are hosted over at SiteGround and I recommend them to new and seasoned bloggers alike. They’ll transfer your site over for free and even give you a free domain if you’re just getting started. Plans start at just a couple of bucks a month. Their 24/7 customer support is unrivaled and I can’t recommend them enough. One thing I wish I did differently when I started Oui In France almost 5 years ago was to start my email list from day 1. I had a feed subscription sign-up form that sent out my posts to subscribers, but I didn’t send out a newsletter or anything like that until last year. Whether you’re selling something or not, having a list (that you own) of your most engaged readers is priceless. You own your list unlike a Facebook page or Twitter followers that would disappear if those networks were to close down. 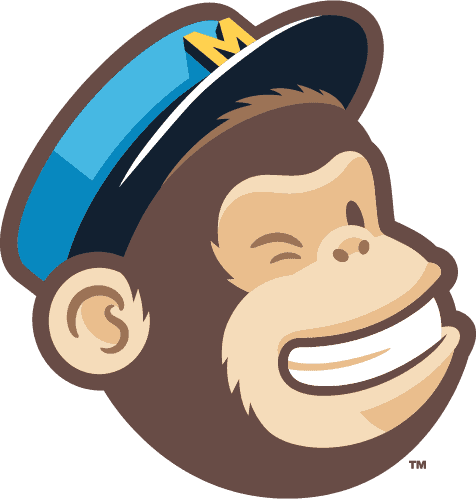 Nowadays, I use Mailchimp to send out my newsletter. It’s free to start, easy to use, and lets you customize the look and feel of everything you send out. If you’re a blogger and you don’t have a list, sign up with Mailchimp to start collecting your biggest fans’ emails (even if you’re not sure what you’re doing with them yet). If you’re not signed up for my newsletter, scroll down to the sign-up box just above the comment section below and join my list! 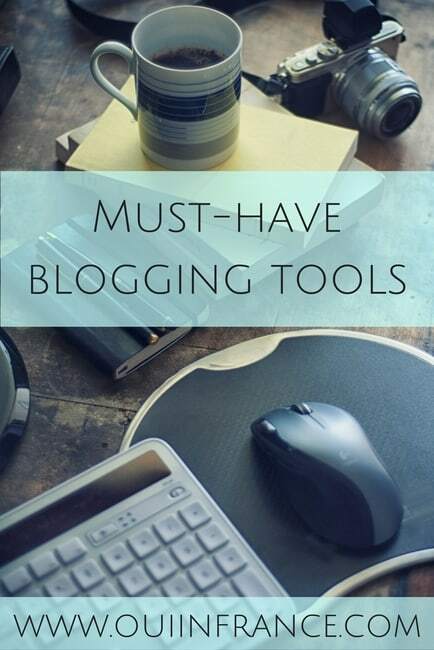 Bloggers, what blogging tools can you not live without? If you’re thinking of starting a blog, now is the time. Read this how to get started blogging post! Thanks for the insights to your blogging experiences Diane. Very generous of you. 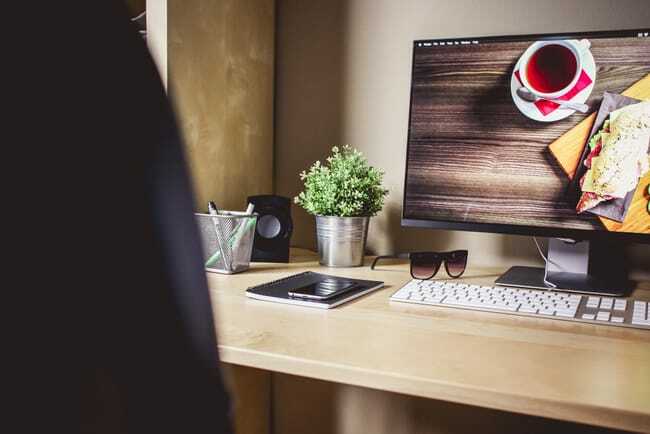 My own blog is a low burn affair, far down the pecking order when it comes to my day jobs but one which I see as a life enhancer not an earner. However, learn and improve with a view to providing a good entertaining read is what I’m aiming at and it’s important to take on board what pushes the buttons and what does the opposite. Yours is certainly one of the most “professional” blogs I’ve come across. Hi Peter, thanks for your comment. 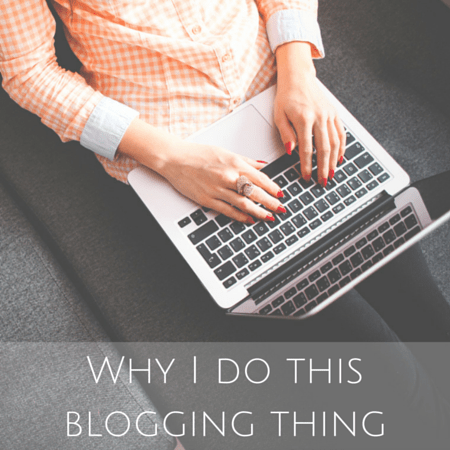 Yes, we all blog for different reasons and there’s no one “right” way to do it. 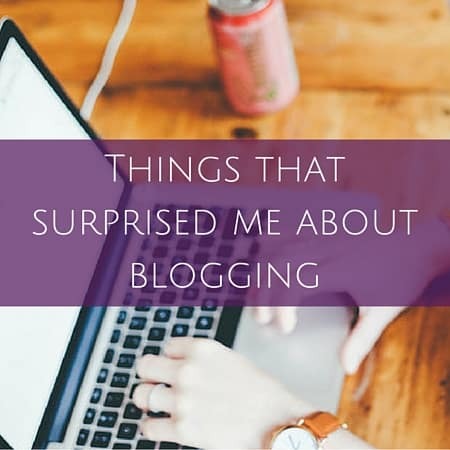 When I first arrived in France, blogging gave me a purpose when I didn’t have one and showing up twice a week to write was something I clung to and have really come to enjoy as the years have passed. It puts me in touch with people I’d never otherwise “meet” and has become part of my identity in a way. I’ve toyed with expanding my blog’s focus to include more than just France/French language/French culture and other little tweaks along the way. At the end of the day, you have to do what works for you and anything to make the process easier — and you happier — is a step in the right direction. 😉 And thanks for the compliment. I’m far from pro (need a redesign but since my blog earns about $3/month, it’s not in the budget for a hobby blog) but I do take it seriously and have posted regularly from the get-go, so thank you again. SumoMe! I like their sharing tools. They are easier to customize and can stick on the left (or right, or below) side of each page/blog. PS: I forgot the best one: OptinMonster. It’s the popup that comes to suggest you to subscribe to the blog. A little investment but worth it! I couldn’t agree more about proof-reading and grammar. I regularly read a blog written by a teacher, where spelling errors abound. We all make typos from time to time but if it’s worth writing, take the time to check it. Other pet peeves are pop-up ads, distracting music and comment boxes where you have to first set up a new account in order to leave a comment. Grrr. Great advice here Diane. However my own blog is simple and very unprofessional and I tend to be drawn to these types of blogs most, I am not trying to earn from it or gather hundred of followers and I’m not at all tech savvy so that is how it will remain. I agree with Peter, your blog is professional, easy to navigate and most importantly…no bloody music! My reply: I think there’s a difference between the occasional typo and not knowing how to write something correctly in your native language. Like people who say I have two dog’s. Is that a typo or do they not know? Or I’m going to my parent’s house tonight (when they have 2 parents). If you ever see a big mistake here, please tell me. Sometimes we don’t see our own typos! And if I ever do a blog redesign, I’m going to put some music on the home page just to mess with people. With a really hard-to-find “off” button. Hahah. Thank you. 🙂 I’m not sure I’m ready for you to look at my blog yet. LOL. I’ll continue working on it and try to post the link in my next comment, when I’m ready. This is really useful information, thanks. I have just this week started my blog and I think I’m going to keep it as a bit of a hobby and see how I get on. Don’t want to put pressure on myself. I would still like people to read it though and trying to understand the best way to promote. You have given me some good pointers here, do you have any other advice for a newbie? — stick to a consistent posting schedule. This is to keep you accountable and to let your readers know what to expect. Whether it’s 3x/week or once a month, set a posting schedule and do your best to adhere to it. — let readers know who you are and what to expect on your blog. You can do this on an “about me” page. If you blog anonymously there’s no need to use your full name or a picture of your face but just something that gives people a feel for who you are and what you’re doing on the web is really important. I LOVE Canva! I think it’s the best free graphic design resource out there. I even made my social media icons with it. I also really like A Color Story for editing iPhone photos. I’ve been thinking I should really switch over to a self-hosted site even though I’m not blogging a ton these days, just to have a little more control over my blog. I’ve heard lots of good things about SiteGround. Thanks for the tips! Yup, I love it for social media graphics. 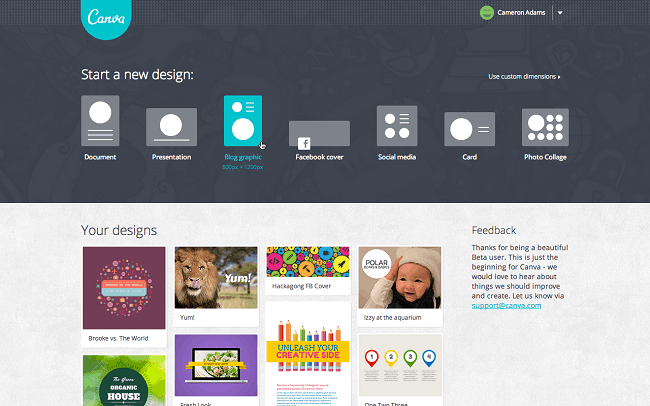 The Canva for Work (paid) lets you do a magic resize so you don’t have to create different graphics for each network. It’s really the best out there I think! And yes, definitely self-host. Even if you don’t blog often, it’s nice to know your content and site is yours regardless of what blogger and wordpress are doing. Just a few bucks a month. Glad you found it useful. And yes, Grammarly is a real lifesaver sometimes!